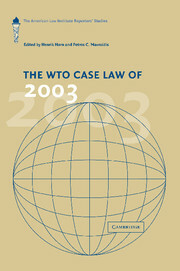 This book is the third annual report of the American Law Institute (ALI) project on World Trade Organization Law. 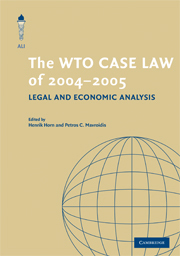 The project undertakes yearly analysis of the case law from the adjudicating bodies of the WTO. 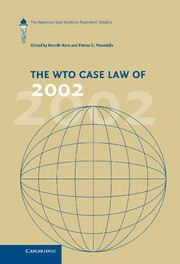 The Reporters' Studies for 2003 cover a wide range of WTO law. 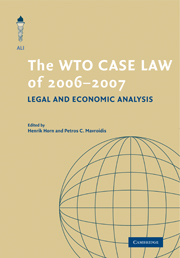 Each case is jointly evaluated by well-known experts in trade law and international economics. 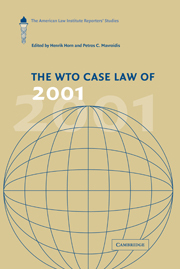 The reporters critically review the jurisprudence of WTO adjudicating bodies and evaluate whether the ruling 'makes sense' from an economic as well as legal point of view, and if not, whether the problem lies in the interpretation of the law or the law itself. 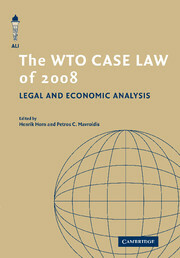 The studies do not cover all issues discussed in a case, but they seek to discuss both the procedural and the substantive issues that form the 'core' of the dispute. 11. Japan - measures affecting the importation of apples (AB-2003-4): one bad apple? 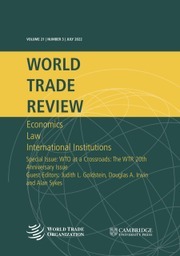 (DS245/AB/R): a comment Damien J. Neven and Joseph H. H. Weiler.